P.L. United Methodist Church, 1984 Sunset Cliffs Blvd., O.B. Wonder what helps keep Ocean Beach a beach town verses Miami? Most people answer is “its activist’s community”. 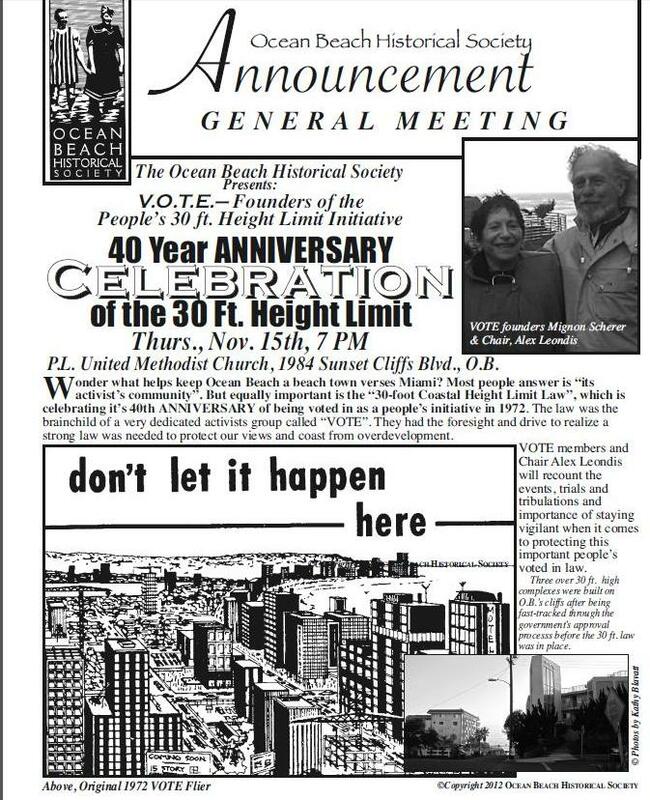 But equally important is the “30-foot Coastal Height Limit Law”, which is celebrating it’s 40th ANNIVERSARY of being voted in as a people’s initiative in 1972. The law was the brainchild of a very dedicated activists group called “VOTE”. 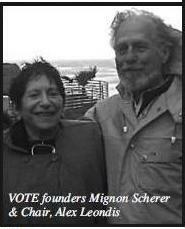 They had the foresight and drive to realize a strong law was needed to protect our views and coast from over-development. hey you land lubbers – this is very important event for you to attend. it’ll be ok, it’s dry out, not raining, and the subject is crucial to the community’s history. i may even slip out of my wetsuit and masquerade as one of you.